HANOI, July 25, 2016 - Vietnamese President Tran Dai Quang (C, front) makes his sworn-in statement in Hanoi, capital of Vietnam, July 25, 2016. 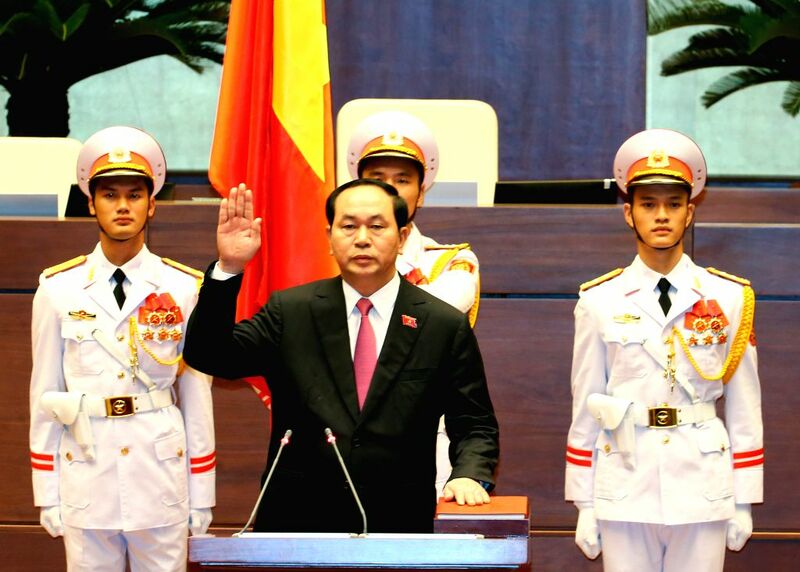 Tran Dai Quang was re-elected President of Vietnam with 98.18 percent of approval by deputies at the ongoing first session of 14th National Assembly in Hanoi, according to voting results announced on Monday. 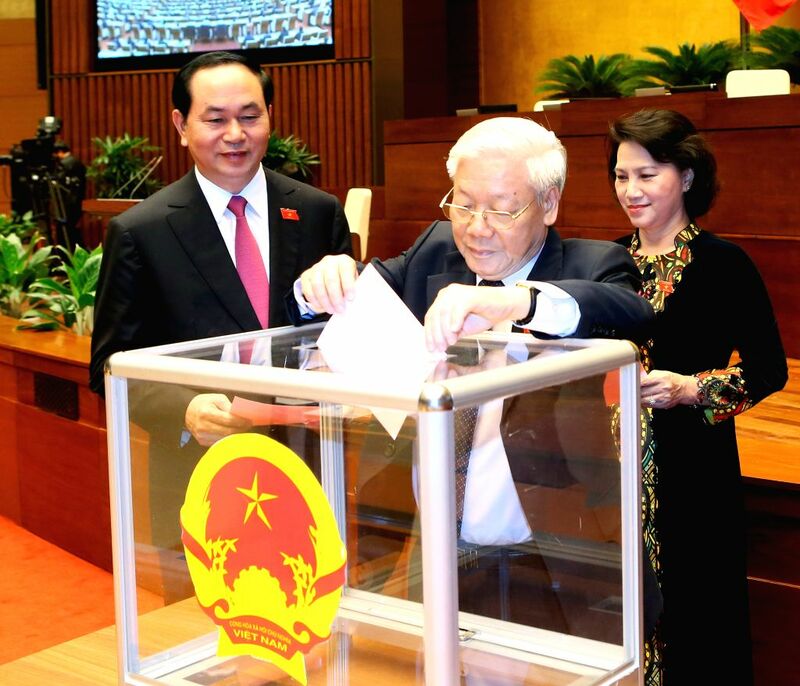 General Secretary of the Communist Party of Vietnam Central Committee Nguyen Phu Trong (C) votes for the position of President of Vietnam, in Hanoi, capital of Vietnam, July 25, 2016.